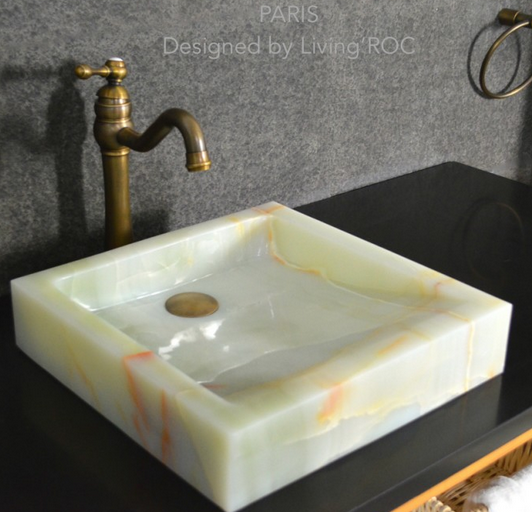 LivingRoc USA-The Blog: OUR NEW ARRIVALS ARE COMING!!!!! OUR NEW ARRIVALS ARE COMING!!!!! Here at LivingRoc we are always striving to find even more beautiful pieces to transform your surroundings. We would like to entertain you with our new creations. 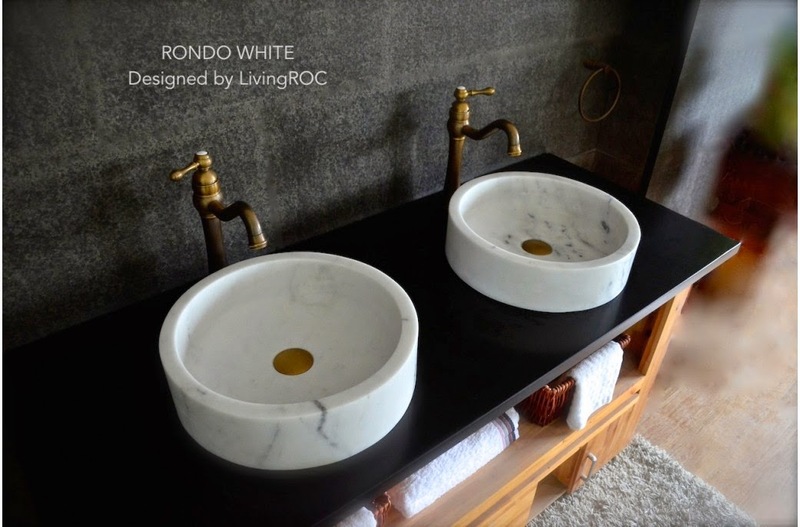 Rondo White is a 16" round white marble vessel sink. Here at LivingRoc we have chosen marble with its fine distinguished streaks of gray tones thru out to make it a one of a kind find. Imagine creating a beautiful bathroom made from white polished marble. 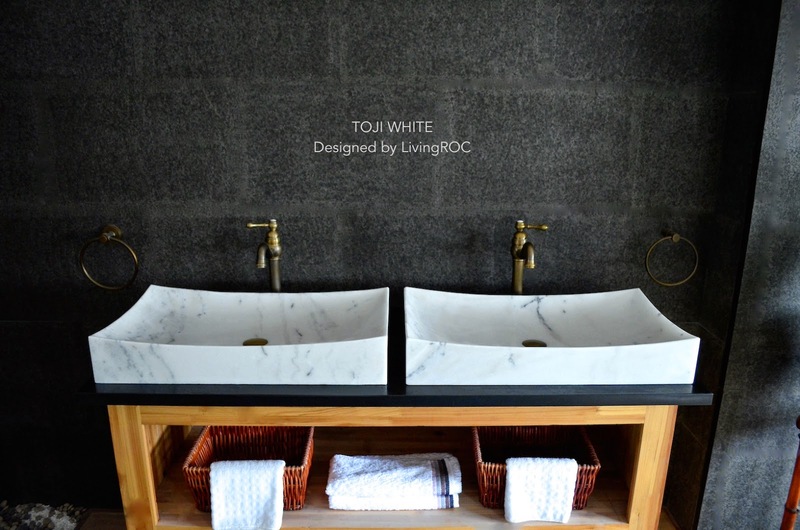 TOJI White will invite you into gray tones and slim and sleek lines. It's curved edges allow a larger amount of water. Here at the size of 27"x19"x2" our Carrara vessel sink will add great value to your home. Made from a superb block of Carrara White Marble you will discover the feeling of well-being. 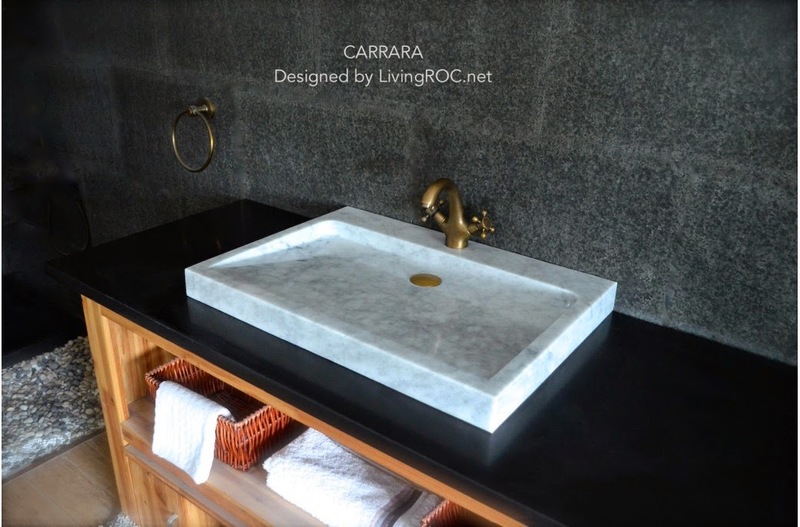 Carrara can be a vessel sink or mounted to the wall. Does the vision of Carrara marble leave you for wanting more? The name here says it all, introducing LOVE. Inspired by our other model the Folege, Love will beautify a smaller space and provide a modern, serene, and trendy atmosphere in your bathroom. Love can be a vessel sink or mounted to the wall. 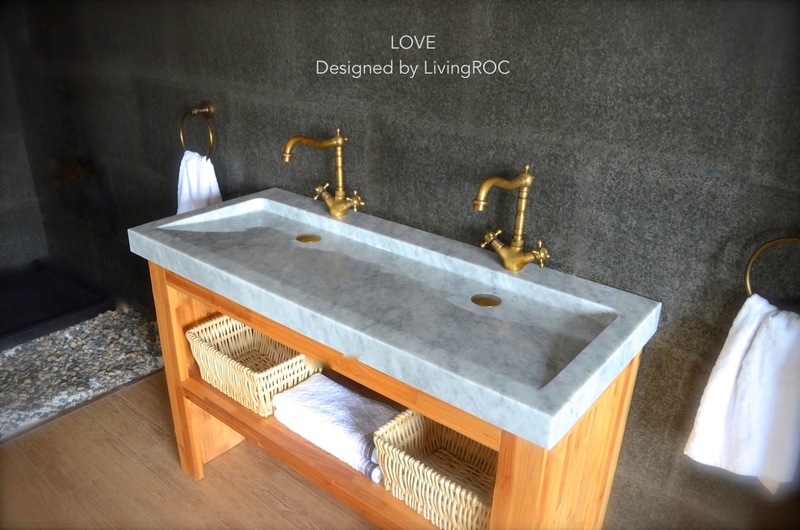 We invite you to visit our site LivingRoc to see these and other wonderful natural trendy stone products to transform your Home.